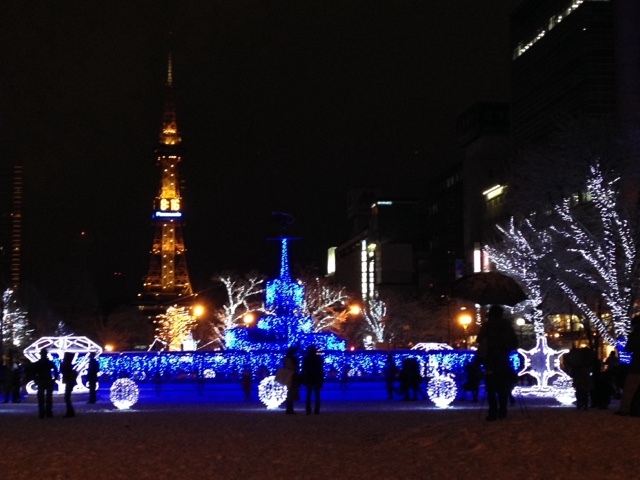 Not much snow this year yet but Odori in full swing, beautifully illuminated for Christmas. It's been a bit disappointed for powder seeking skiers so far but good for the locals. Ben, have you been to Otaru, Hokkaido? I just watched a show about Otaru on NHK TV. It has a beautiful canal that's illuminated with lights. 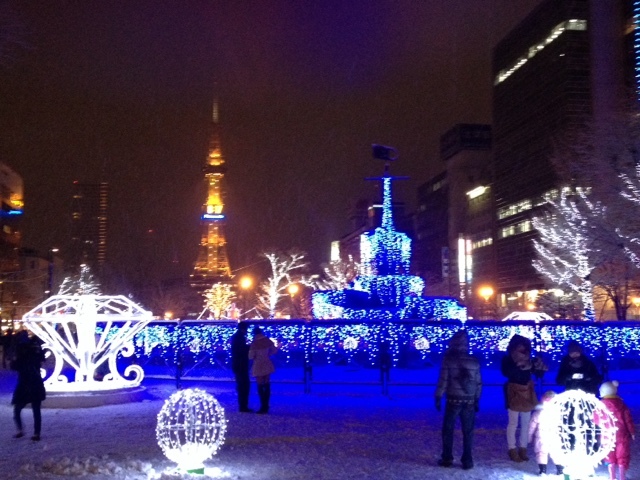 Seems like a very snowing place in the winter but that's probably true of most cities in Hokkaido. Yes Otaru is a 30-40 min train ride from Sapporo. It's a nice place with many nice sushi restaurants (stick with the restaurants in the back streets). There are also many nice shops with souvenirs made from glass and plenty of nice sweets shops. 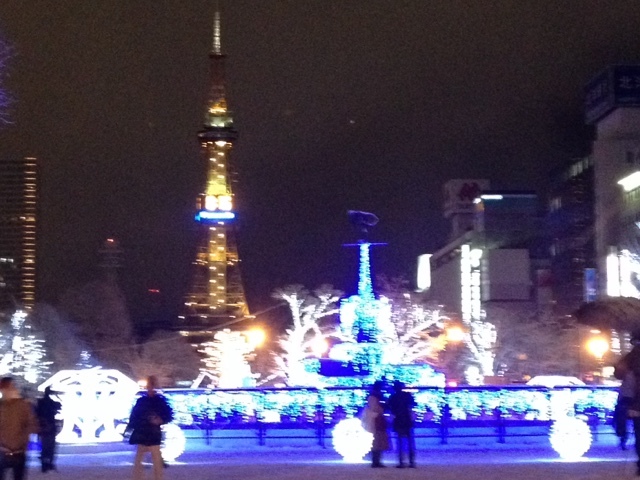 The canal lights up at night and yes plenty of snow so nice place to visit. Thanks for your comments..